Published on Wednesday, January 7, 2009. This article appears in the February/March 2009 issue of American Craft Magazine. 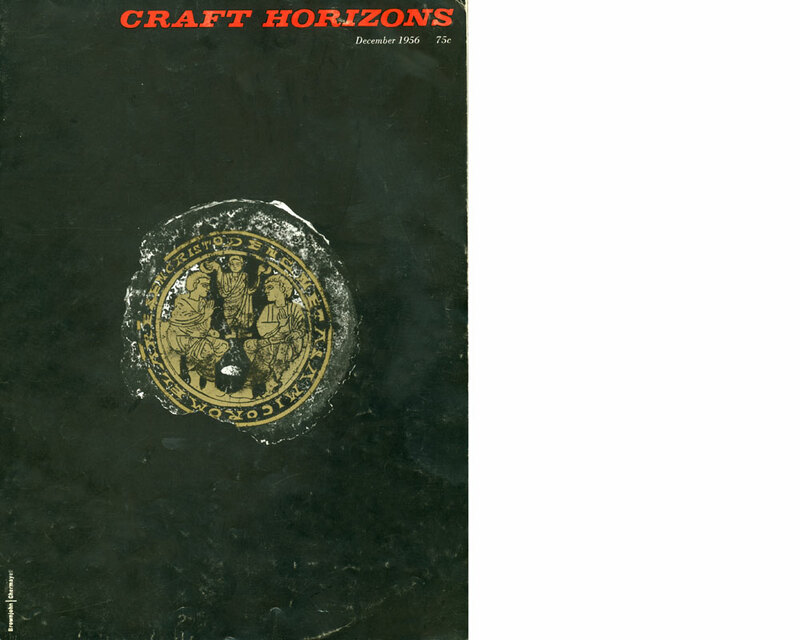 Craft Horizons cover, December 1956. 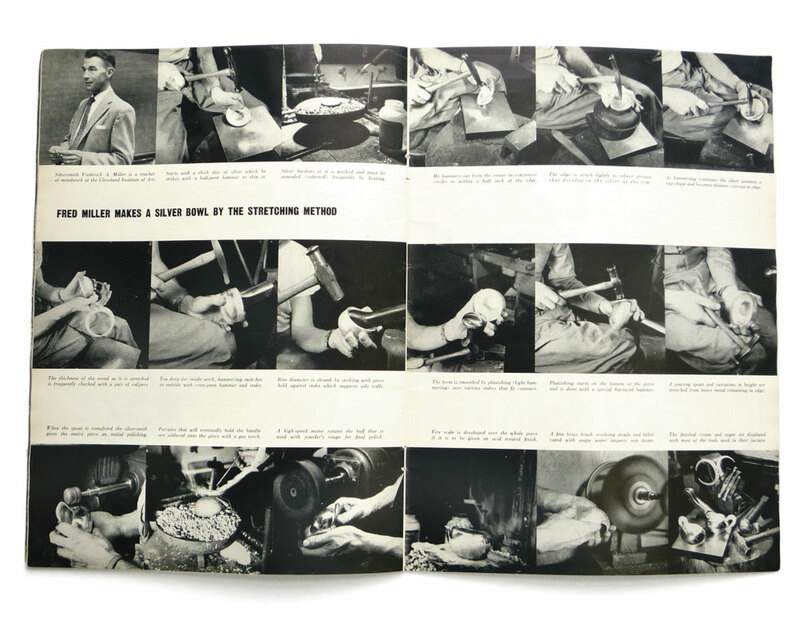 In the December 1956 issue of Craft Horizons, silversmith Frederick A. Miller demonstrated the technique of "stretching" in creating free-form silver bowls. Fred Miller designed for and later owned Potter and Mellon, a prominent jewelry store in Cleveland, Ohio, and simultaneously taught at the Cleveland Institute of Art for over 25 years. Jim Mazurkewicz, Miller's student and Potter and Mellon's master jeweler until the store closed, described him as "a driven personality, very methodical, who engendered the importance of mastering technique." He was honored with awards and inclusion in such exhibitions as the Smithsonian's "Modernism in American Silver: 20th-Century Design." In his life there's also a tale of great friendship. Fred Miller, married with children, and metalsmith John Paul Miller, single and no relation, taught together and relished spending long hours on their craft. In 1950, John became family when he moved into Miller's home, where they shared a studio and influenced one anoth-er. The Millers are deceased and their children have moved on, but John, 90, still resides in the home they all shared. Of late, John has noticed a mix of buyers for Fred's work. In 2007, the Philadelphia Museum of Art acquired a casserole for $43,500. His first cream and sugar set, ca. 1948, sold on eBay, while Helen Drutt purchased a pendant for her collection. You might surmise that the eBay buyer got the better deal, but since John won't reveal the amounts, one can only speculate. Fred Miller makes a silver bowl by the stretching method. Download Edward Hald’s profile of the legendary ceramist from the October 1954 issue of Craft Horizons. A 1982 article in American Craft illuminated the work of the weaver James Bassler.